I love The Walking Dead. Mostly because it is a well-written, well-produced, well-acted, intense horror drama. But maybe even more so because it’s filled to the gills with zombies. And in the middle of the scare season, nothing spooks me more than shambling cadavers. 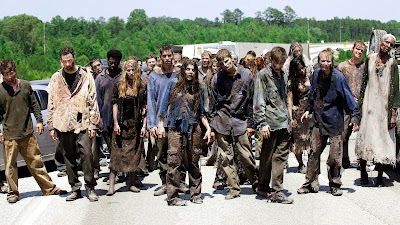 Zombies - or walkers, if you’re a fan of the AMC show or Image comic - are more frightening than any fictional monster you can imagine. Vampires, werewolves, mutants, reanimated slashers, idiot teens in Halloween masks - none hold a waxy candelabra to a horde of hungry corpses. It’s the multiplying mass. It’s claustrophobic. Plus the inevitability that you’re going to bump into a dearly departed loved-one. And that your loved one will likely tug out your intestines through your belly button. The Walking Dead’s fourth season debuts Sunday. The successful show, developed by Frank Darabont, based on Robert Kirkman’s popular comic book, owes much of its setting - the zombie apocalypse to Midwest filmmakers. Well, specifically, George Romero, the godfather and creator of the modern zombie thriller. 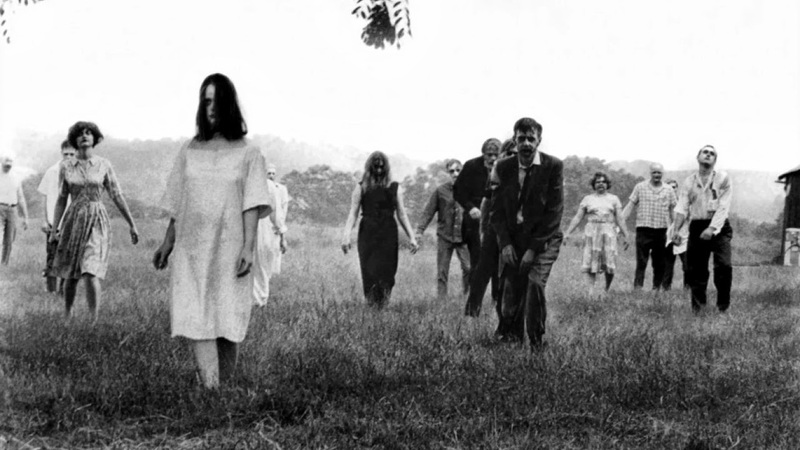 Romero co-wrote and directed Night of the Living Dead in the late 1960s. The independently produced film premiered in October 1968. It was made on a $114,000 budget and made more than $12 million in its initial run. It has since spawned a slew of sequels and an entire horror genre. The zombie classic was shot in and around Evans City, Pa., and Butler County, just north of Pittsburgh. Rather than take its success straight to Hollywood, Romero shot its sequels - Dawn of the Dead and Day of the Dead - in Pennsylvania as well. Dawn was famously shot in the Monroeville Mall in Monroeville, Pa., and Day was shot in Wampum, Pa. (though “above ground” scenes were shot in Florida, where Romero lived at the time). With his initial zombie trilogy, Romero virtually created the entire zombie archetype. His inspiration for the creatures came from a mash-up of vampires and voodoo zombies - mindless ghouls out for blood. Those creatures have since caught the imagination of a generation of artists, creating much of the horror media we enjoy today in film (World War Z, Shaun of the Dead), TV (The Walking Dead), video games (Resident Evil, Left for Dead), literature (The Walking Dead, World War Z, Monster Island). Because of this, I always like to imagine that Pittsburgh is ground zero for any zombie apocalypse. In a way it has. Kirkman, in a way, acknowledges in an AMC interview that the world in which Rick Grimes and friends inhabit was almost the same world Romero created. Fans of Shaun of the Dead will note that the TV news reports that announce the zombie apocalypse use the exact same dialogue as the TV reporter in Night of the Living Dead. Not quite zombies, but definitely dead. Night of the Living Dead alone pegs Pennsylvania as patient zero for our affliction for zombie films. But the disease quickly spreads and mutates when you talk about the Evil that Michigan filmmaker Sam Raimi spawned. Often grouped in with Romero’s films as a classic zombie flick, Raimi’s Michigan-bred film actually focuses on demonic possession. The title (Evil Dead) is probably to blame for this mistake, but the film’s overall concept provides plenty of walking dead for hero Ash to battle. And Romero’s influence is all over the film. Raimi shot Dead for less than $100,000. Though he tried to make the film in Royal Oak, Mich., he eventually had to shoot the flick in Tennessee. Raimi continues to come home to shoot films. His latest, Oz: The Great and Powerful, was shot primarily at the Michigan Motion Picture Studio in Pontiac, Mich.
Super low budget, super high passion. Romero and Raimi’s influence - both for the zombie genre and independent filmmaking - invaded Akron, Ohio, in the late 1980s by way of then teen filmmaker J.R. Bookwalter. Bookwalter took on the Herculean task of shooting his own zombie epic, The Dead Next Door. 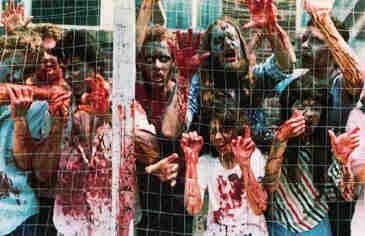 The Dead Next Door was a thunderbolt fueled by flesh-eating zombies, tough-as-nails soldiers, genius scientists, insane cult leaders, and gore – lots of it. It was even named one of Top 50 Essential Gore Films by Rue Morgue magazine. Raimi famously produced the film in secret, going by the pseudonym “Master Cylinder”. 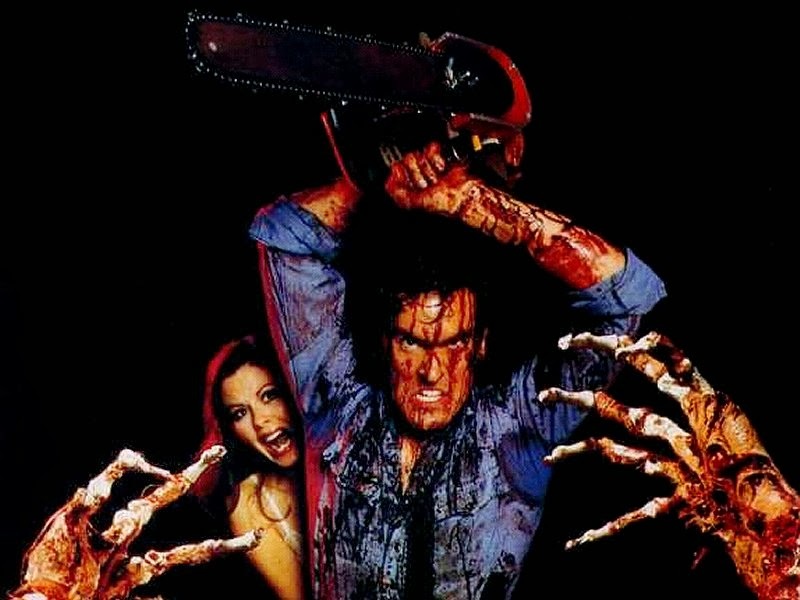 Legendary B-movie star Bruce Campbell, who played Ash in Evil Dead, supplied voiceovers for two characters. And hundreds of volunteers from Northeast Ohio played hordes of zombies. So as you sit down to watch Rick Grimes, Daryl Dixon, Michonne and everyone else survive another year of the zombie apocalypse, just remember to give a nod to the Midwest Movie Belt for birthing (or should we say re-animating) a horror movie genre that will seemingly live (or shamble undead) for a long time to come. Follow us on Twitter. Friend us on Facebook.